Wednesday, May 9th, is National School Nurses Day, and it gives us an excellent opportunity to appreciate the dedicated school nurses in our lives. These healthcare heroes make sure that our schools remain safe and healthy places where all children feel included and encouraged to learn. 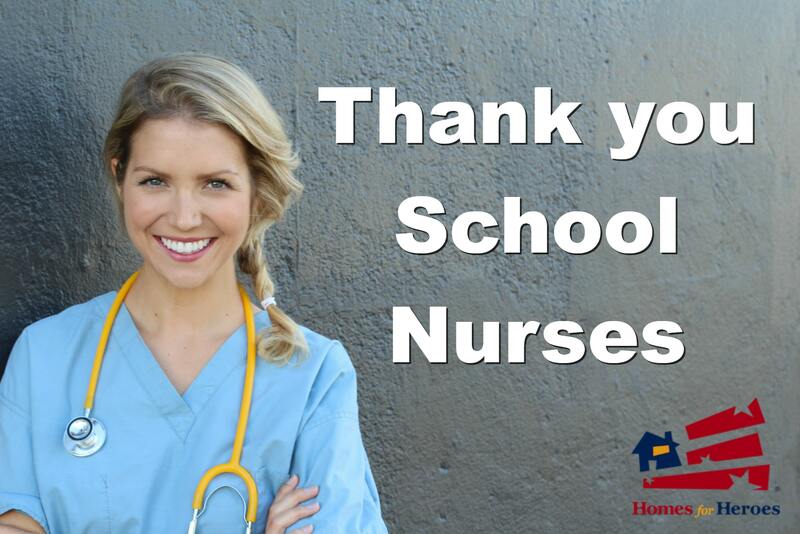 School nurses have enjoyed a special day of recognition since 1972, with National School Nurses Day scheduled each year on the Wednesday during National Nurses Week (May 6-12). The National Association of School Nurses chooses a theme to promote the events that take place on National School Nurses Day, and for 2018 it is School Nurses: Advocates for 21st Century Student Health. Do you know what a school nurse does each day? School nurses are highly trained professionals who have a college degree in nursing and extensive clinical nursing experience. School nurses are on the front-line of school medicine, and they fulfill many different professional roles. What Does the Typical Nursing Tasks Include? Distributing necessary prescription medications to students is a primary responsibility of the nurse. Students with diabetes, for example, often travel to the school health office multiple times each day to check their blood sugar level and take medication. 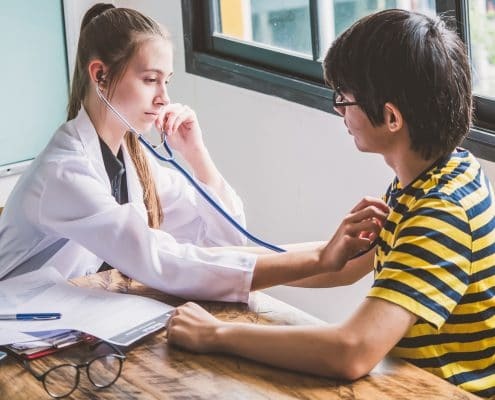 Health Screening for medical issues such as obesity and scoliosis uncovers potential problems so that the students receive appropriate intervention. 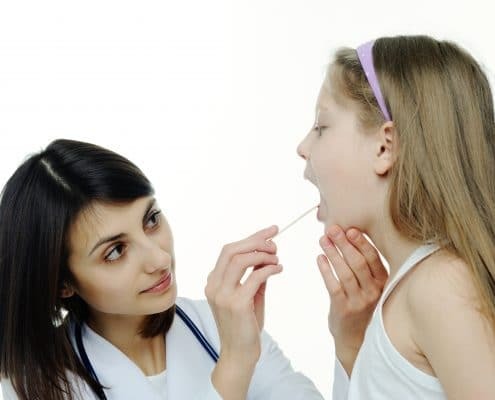 Assessing and assisting ill students protects student health. The school nurse also keeps track of current illness patterns in the school to help prevent the spread of serious sickness such as the flu. Maintaining immunization records for all of the students is an example of the essential record keeping performed by the health office. The school nurse checks that all students possess the legally required immunizations to attend school and notify parents of any upcoming immunization requirements. Responding to, and providing first aid for, medical emergencies so that everyone within the school community has access to immediate medical assistance. The school nurse must handle the initial treatment for emergencies such as asthma attacks, diabetic low blood sugar events, playground injuries, and drug overdoses. Partnering with parents when working with children who have chronic illnesses and disabilities. Nurses are part of the team of school professionals that develop and implement individual education programs for eligible children. Collaborating with other professionals like teachers, police officers, psychologists, social workers, and occupational therapists to meet the needs of individual students. Promoting a school environment that values healthy lifestyle choices through advocacy in areas such as school nutrition and health education. School nurses energetically advocate for ways to improve the overall student health in their schools, while at the same time supporting the unique needs of the individual child. In appreciation of everything that school nurses do to keep our children healthy, let’s focus on how we can support the essential work of the school nurse. Teach your children to sneeze into their elbow as it’s a terrific method for slowing down the transmission of respiratory illnesses. This simple habit stops the spread of the colds and other viruses that spread throughout schools each year. A fundamental thing that you can do to help the school nurse is to model handwashing technique. Proper handwashing keeps kids healthy and is one of the best ways to reduce contagious illnesses in the classroom. Many young children don’t take enough time to wash their hands adequately. Encouraging your child to sing a song while washing their hands is an excellent way to make sure that they spend enough time lathering and rinsing away germs. Keep a sick child at home. Unwell children do not perform at their best in school and, far worse, may continue to distribute the infection to other students. Promptly pick your child up from school when the school nurse informs you that your child is unwell. Trust that the nurse is sending your child home for a good reason. Do not medicate a child to make it appear that the child is well enough to be at school when the child would not be well enough without the use of the medication. Fever and pain reducers may reduce the symptoms of an illness, but the child is still sick. Do everyone at the school a favor by allowing an unwell child to heal at home. Supply your child’s classroom with extra boxes of tissue, paper towels, and hand sanitizer. Teachers often supply their classes with these necessary items with their own money and appreciate any donations that you can make toward maintaining a healthy area. Communicate with your school nurse about anything having to do with your child’s mental and physical health. Stop in and let the health office know, for example, that your daughter may have a concussion. Connect with a parent group, like Parents United for Healthy Schools in Chicago, to become involved in grassroots school health initiatives. Attend your local school board meetings to encourage better funding for a school nurse in every school. Volunteer in your school health office. Health offices are often overwhelmed, and your assistance with things like phone calls and routine clerical work allows the school nurse to focus on working with the children. Organize a school-wide health fair to motivate healthy habits for everyone in the school community. You might even pair your event with a school-wide fundraiser like Jump Rope and Hoops for Heart for the American Heart Association. Finally, school nurses work hard each day to ensure that the school environment is a safe and healthy place where every child can learn. Thank the school nurses in your life for their dedicated service by partnering with them to promote a healthy school environment. In honor of school nurses everywhere, let’s commit to advocating for the health of all children.